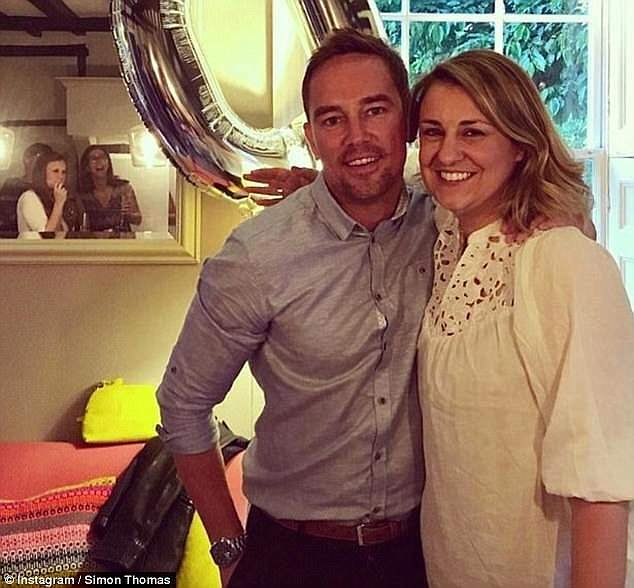 Sky Sports presenter Simon Thomas revealed his wife Gemma who died of blood cancer in November had been to her GP three times and sent home for bed rest in the days before her death. 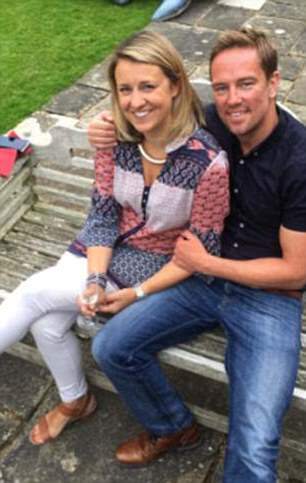 Mrs Thomas, 40, had flu-like symptoms and went to see the doctor three times over the course of six days before she was finally admitted to hospital when her condition continued to deteriorate. 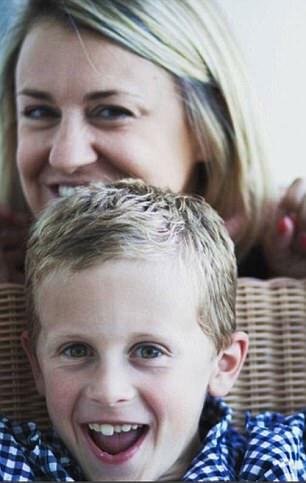 The mother-of-one was suffering from a highly aggressive form of acute myeloid leukaemia and died four days after her final trip to the GP. 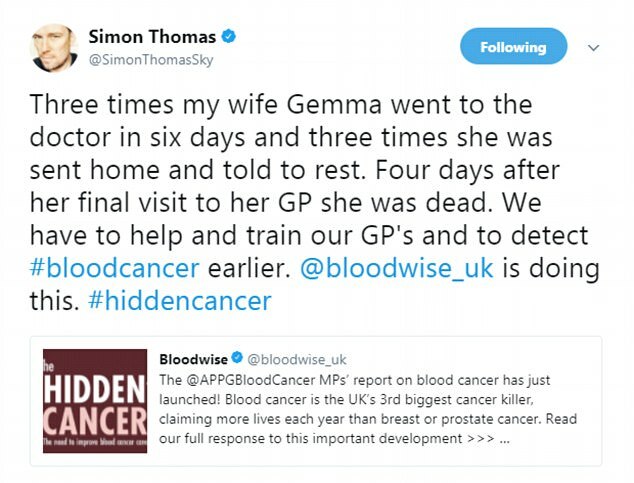 Mr Thomas is now backing a campaign to educate GPs about the disease, encourgaing them to take blood tests from suspected sufferers of the disease which affects 2,600 people in Britain a year. Mrs Thomas went to the Royal Berkshire Hospital in Reading, from where she was rushed to the Churchill Hospital in Oxford to begin intensive chemotherapy treatment. For the first two days of treatment, Mrs Thomas responded well to the medication, but on the third day she deteriorated rapidly. Doctors said she had developed bleeding on the brain and would not survive. Since her death, he has managed to raise more than £30,000 for charity. Normally the symptoms of AML develop over the course of several weeks and progressively become more severe. Patients often complain of pale skin, tiredness, breathlessness and constant infections. Blood cancer charity Bloodwise UK reports that because symptoms are often vague, sufferers often have to visit their GP more times before they get a diagnosis than those with other types of cancer. 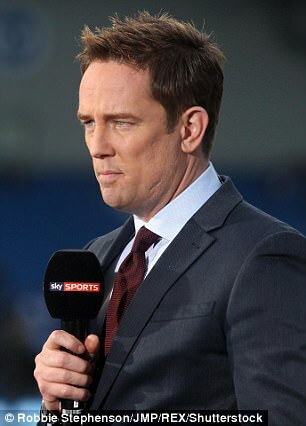 Mr Thomas has vowed to increase public knowledge about the disease which claimed his wife's life. In Westminster, MPs today discussed the issue of blood cancer and the danger it posed. The All Party Parliamentary Group on Blood Cancer said that many signs of blood cancer can be 'misunderstood or misdiagnosed'. In a new report, the group said that diagnosing blood cancer – such as leukaemia, lymphoma and myeloma – can be 'complex'. Highlighting one patient group, MPs described how some elderly myeloma patients reporting symptoms of back ache and bone pain are told their symptom is 'part of the ageing process'. In order to improve early diagnosis rates, they called on GPs to immediately order a blood test for anyone presenting with one or more symptoms of blood cancer. Symptoms of blood cancers can be similar to the symptoms of feeling 'run down' or flu, such as fatigue, night sweats, weight loss, bruising and pain, they said. Chairman of the patient group MP Henry Smith, whose mother died from acute myeloid leukaemia in 2012, said: 'Blood cancer is the fifth most common cancer in the UK and someone is diagnosed every 14 minutes. 'I have witnessed the terrible effects of blood cancer firsthand but general awareness among the public, health professionals and policymakers is very low, and we must work together to change this. Commenting on the report, Professor Helen Stokes-Lampard, chairwoman of the Royal College of GPs, said: 'The term blood cancer is used to cover a range of conditions including leukaemias, lymphomas and myeloma; leukaemia is usually picked up through one of the tests that GPs order very frequently – a full blood count. 'Each type of blood cancer can present in a varied way and GPs will base their decisions around what diagnostic testing is most appropriate on the symptoms being displayed by, and the unique circumstances potentially affecting, the patient in front of us. 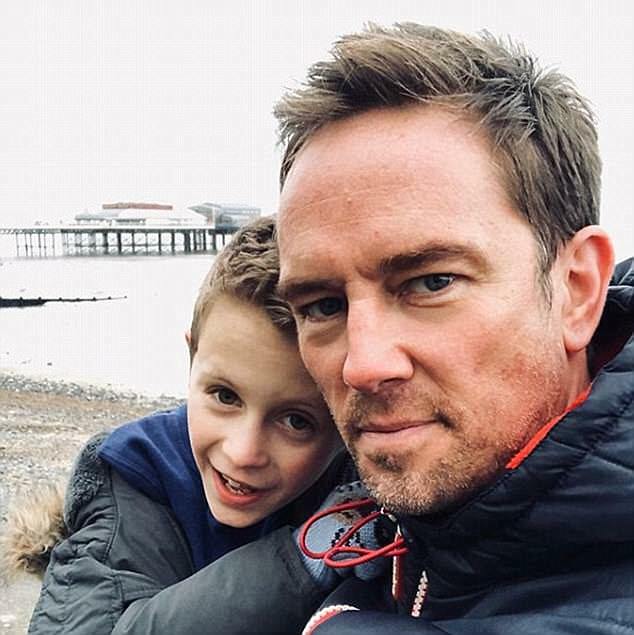 Mr Thomas, 44, and his eight-year-old son Ethan have returned to their home in Berkshire after spending Christmas and New Year with family in Norfolk. Acute myeloid leukaemia is an aggressive and rare form of blood cancer. The symptoms of AML usually develop over a few weeks and become more severe. In advanced cases, patients are incredibly vulnerable to life-threatening infections and internal bleeding. If a GP suspects leukaemia, they will arrange a blood test to determine blood cell production. In AML, stem cells within the patient's bone marrow produce too many immature white blood cells, which are not capable of fighting infection. This also can lead to a decrease in production of the oxygen-carrying red blood cells and platelets that help the blood to clot. Each year around 2,600 people in the UK are diagnosed with blood cancer. After diagnosis, patients need urgent chemotherapy due to the aggressive nature of the cancer. In some cases, radiotherapy may be needed along with a bone marrow or stem cell transplant. GPs can arrange for patients to have blood tests if they suspect someone to have acute myeloid leukaemia. However, its range of symptoms can be easily confused with many other illnesses - especially because the cancer is so rare. People often are fatigued, have high temperatures, suffer weight loss, have aching bones and bruise more easily than normal. Acute myeloid leukaemia is an aggressive and symptoms usually develop over a few weeks and become more severe. If a doctor does recommend having blood tests for leukaemia, it often doesn't lead to a diagnosis, they just suggest it as a possibility. It usually takes a bone marrow test to confirm the suspicions, Mayo Clinic states. The condition is very rare and screening programmes don't exist because the 'benefits don't outweigh the costs', charities say.